Obvious declaration: I am writing this to share as a few people asked – as in two. (I hate those posts where someone says SO MANY PEOPLE ASKED FOR THIS RECIPE – bloody hell, just tell the truth). This by no means is a “professional” post – as almost anything on this site isn’t – is fun, quick and easy and I assume you have some basic cooking chops. I love to experiment with macaroni and cheese. While I am the Director of Publicity for Eat Your Books and I adore cookbooks, I enjoy just going into the kitchen and coming up with something new. This week I had some black pepper bacon, leftover chicken breast and came up with this dish. 1 16 oz package of penne (cooked 3 minutes shy of package directions in salted water) drain, rinse (yes, rinse stops it from cooking further and avoids clumpy pasta). Then season the pasta with a little salt – set aside. I always season my pasta water and my cooked pasta – before using with a sauce – I do not rinse spaghetti or other kinds of pasta – only if using for mac and cheese for reasons stated above. Do whatever blows up your skirt. In a saute pan, render down the bacon until crispy. Then add onion and saute for a minute or two. Add the flour and whisk to combine, cook the flour, bacon, onion mixture for two minutes. Slowly add the 2 cups of milk (you can use any combo you like since I used 1 cup of cream, I cut down the cheese amount this is all on your own taste preferences). Allow the mixture to come to a simmer and thicken slightly. Then add the mustard and cheese blend – or any cheese combination you prefer – I wanted a white pasta dish – so didn’t use any cheddar. Note: Here I decided there was too much cheese sauce – I removed half to use for another dish. It’s up to you if you like it more creamy. 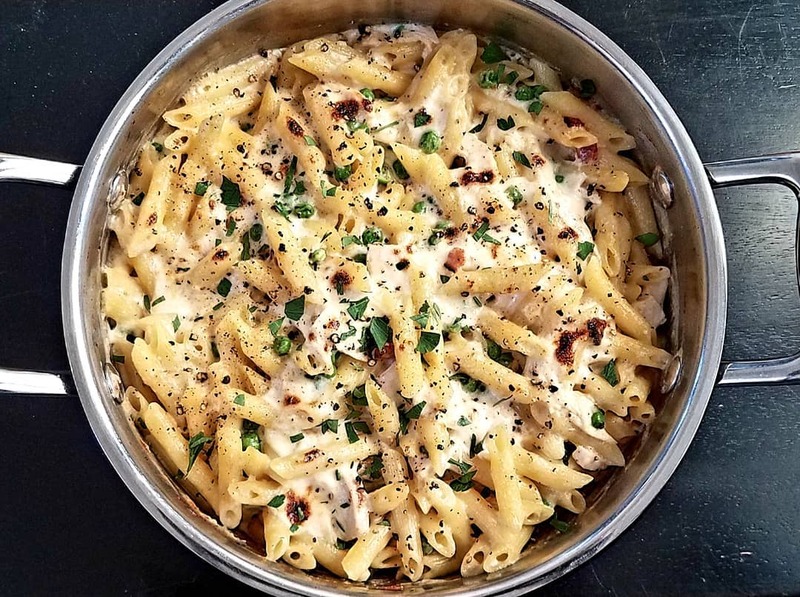 After the cheese sauce comes together – add the pasta, peas, and chicken – adjust seasonings – salt, fresh black pepper. Move to an oven safe vessel – I made mine in a deep saute pan as seen in the photo so one pan cooking (I actually cook the pasta in the same pan prior). Bake uncovered for 10 to 15 minutes as most of the ingredients are already cooked. Then set the oven to broil and allow the top to brown up a bit for a minute or two. 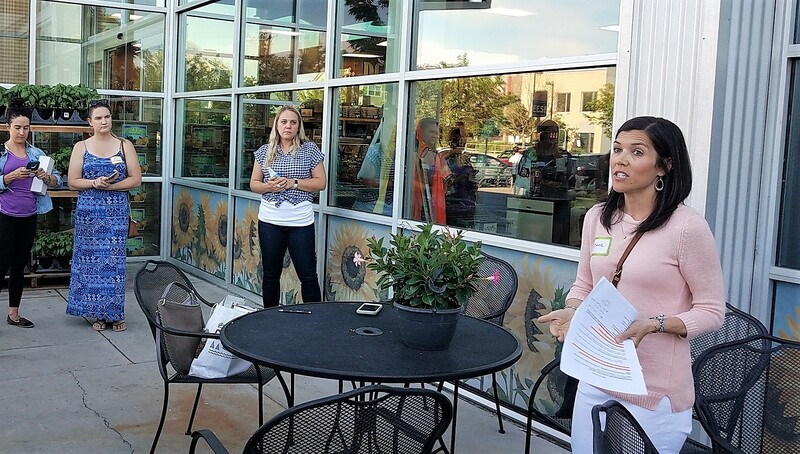 A few weeks ago I attended a Sprouts Farmers Market event in Denver which focused on Sprouts’ plant-based offerings led by registered dietitian Suzanne Farrell. We met outside and started outside talking about the benefits of vegetables and how to work more plant-based protein and fiber into our menu planning. As much as I think I know, Suzanne always enlightens me with her vast knowledge. 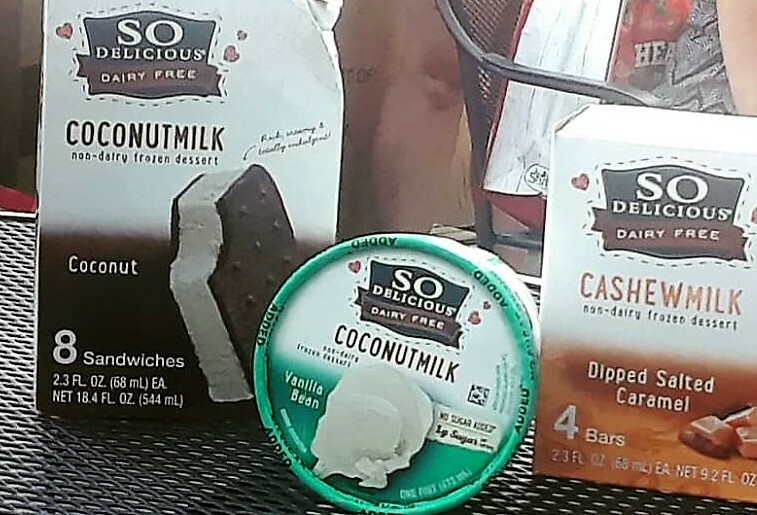 We headed in to try the various veg-centric products available for chips, dips, dairy-free subs and more. Sprouts is a fun place to shop because it offers options for all lifestyles. Sprouts is my to-go for meat and produce. I especially love their bulk section where I can get just the right amount of a certain spice or grain that I need for a recipe and therefore results in far-less waste. My goal this year and going forward is wasting far less and choosing more vegetables in my menu planning. There are great books coming out devoted to this focus: Cooking with Scraps, Waste Not, and Scraps, Peels and Stems that I plan on utilizing to meet this goal. 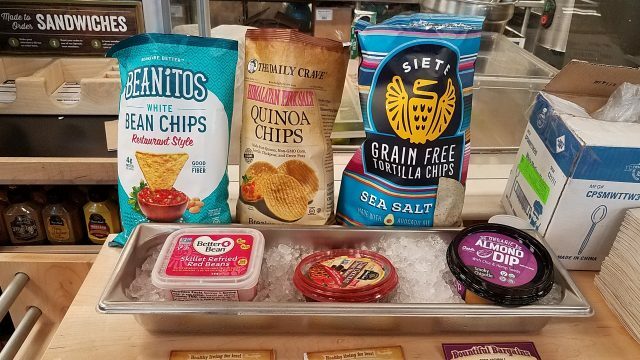 The photo below reflects several examples of chip snacks that have bean or grain substitutions to make snacking nutritious as well as delicious. We tried the chocolate hummus which was surprisingly good, the almond dip and skillet refried red bean were great too. In a few months, we will be having a house-warming party (we just moved) and I plan on buying these alternatives so that everyone has a choice and can try new products. 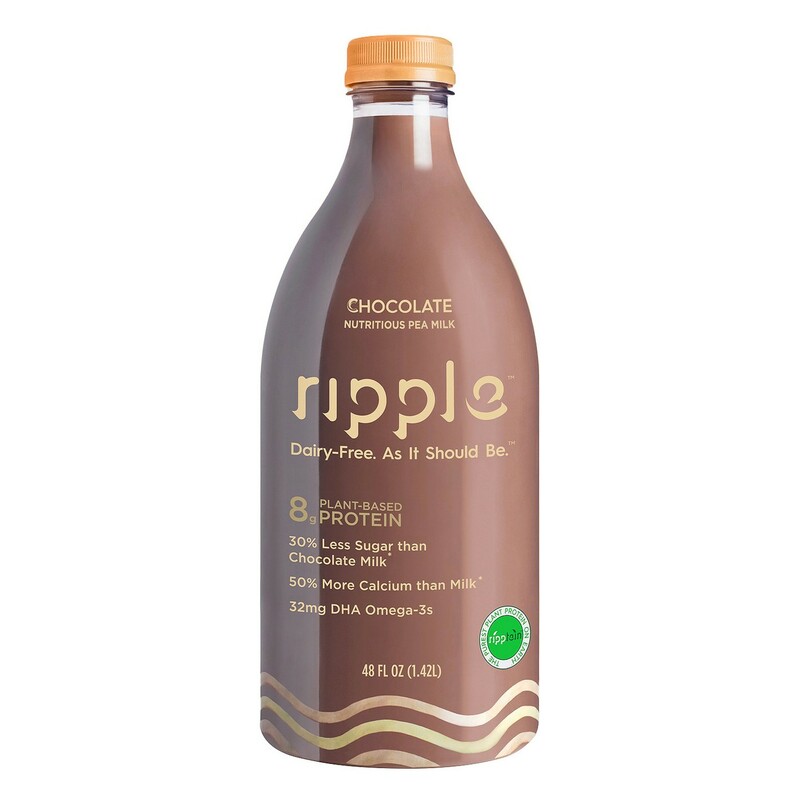 Sprouts also offers many dairy-free options such as this tasty pea milk made by Ripple. Chocolate, regular, half-n-half, greek yogurt alternative and other variations are available. Our last stop was dessert – So Delicious dairy-free products were really a treat. I took home extra for Andrew and he didn’t know the difference. He loves ice cream and these are amazing especially the dipped salted caramel. In fact, I need to head to Sprouts to get more! Sprouts provided me with samples and a grocery gift card to share my experience. I shop at Sprouts twice a week – and for me, their variety and freshness is a no-brainer. 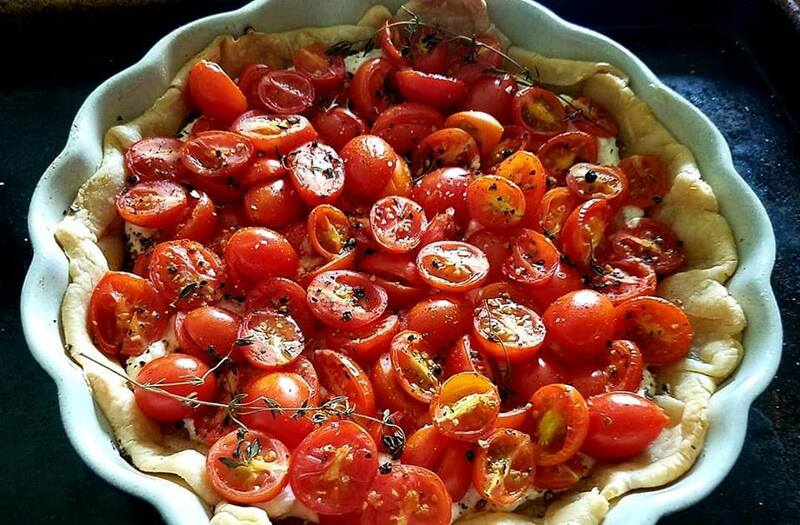 With the Sprouts gift’ card, I bought cherry tomatoes and made this light tomato tart with thyme and ricotta. So easy – your favorite pie crust, blind bake, spread some fresh ricotta seasoned with a bit of minced garlic, salt, and black pepper – then top with tomatoes and thyme – and bake for about 30 additional minutes. At long last, Cooking Price-Wise is available again. Thanks to Dover who last year re-issued The 50th Anniversary Edition of a Treasury of Great Recipes, I now have the missing piece Vincent Price piece to add to my collection. Best known as a star of stage and screen and the undeniable narrator of Michael Jackson’s Thriller, Vincent Price was also a noted gourmet and entertainer extraordinaire whose enthusiastic promotion of home cooking included several cookbooks and a television show. This charming book of Price’s favorite recipes is based on the Thames Television series (by the same name, Cooking Price-Wise) he hosted in the 1970s. The television show featured international cuisine which is also showcased in this treasure of a cookbook. Food-related historical tidbits will fascinate you and add extra zest to the newly typeset recipes and numerous color and black-and-white photographs that enhance this handsome collectible edition. This special expanded edition of Cooking Price-Wise stands as a true family affair, featuring new contributions from the author’s children, including a Preface by his daughter, Victoria, and a Foreword by his son, V.B. An extensive bonus section, “The Culinary Legacy of the Price Family,” includes baking recipes from Vincent’s grandfather, the inventor of baking powder (I loved learning that); journal entries from the author’s eye-opening trip to Europe as a 17-year-old; and a selection of family favorites from Victoria Price’s childhood. Plus, Victoria also provides a wealth of insights into the Price Culinary Legacy which she keeps alive to this day. Dover Publications is offering two copies of Cooking Price-Wise in our worldwide giveaway below. As I am the Cookbook Promotions Manager for Eat Your Books, I am adding EYB options for extra entries. Lastly, two years ago, I had the pleasure of meeting Victoria Price at a Vincent Price Dinner in Denver and she was gracious enough to answer a few questions for me. I had shared this interview in a larger piece for another site which has since wiped all evidence of itself from the internet. I am sharing the interview portion with you here today to preserve same. While our conversation was about the iconic, Treasury of Great Recipes, it is relevant to the Price Culinary Legacy. I hope you enjoy reading it (again, for some of you). Q: How did an actor famous for horror flicks come to author a cookbook? VP: The idea was brought to life when Sears Roebuck approached my father and asked him to acquire art for their stores. Sears was revamping their image into something more upscale. My father procured 20,000 pieces of art for Sears — all of which were framed by my mother, Mary Price, a designer, in the basement of our Los Angeles home – my mother was all about aesthetics and the frames Sears were providing were not to her standards. Soon after the art project, executives at Sears asked my father, known for his gourmet entertaining, to do a cookbook. Q: Many collectors and fans remark about the famous bronze cover of the Treasury of Great Recipes. Can you tell us how that came to be? VP: The leatherette cover was all my mother’s doing, fashioned after her copper mold and cookware collection she amassed while my parents were “stuck” in France for six weeks on a film. In the 50th Anniversary edition, the cover still has the metallic bronze coloring and look but it was cost prohibitive to produce the padded faux leather version. Q: Many collectors name the Treasury as one of their top favorites. 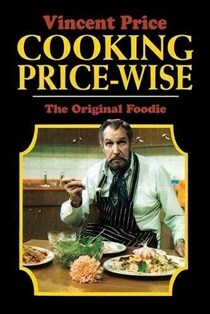 Does it surprise you how popular and relevant Mary and Vincent Price’s 1965 cookbook still is? Q: Will you share with us a few of your favorite recipes from the book? VP: There’s a mushroom recipe named after me at the back of the book, Broiled Mushrooms Mary Victoria that I love. I love the Chicken Curry recipe from Pierre’s in New York. The Dark Mocha Cake and Sardi’s Asparagus Milanese are other favorites. Q: What was your father’s favorite dish? VP: My father loved to experiment with dishes and so he would often go on cooking jags until he felt that he had gotten something right. It seemed to me that an inordinately long portion of my childhood was dedicated to eating ratatouille. And I’ve pretty much loathed it ever since! He similarly dedicated himself to perfecting creme brûlée, which resulted in my having to buy new clothes because none of my old ones fit after that! And also risotto, which he taught me how to make at the end of his life. That was amazing. Q: Did you enjoy spending time with him in the kitchen? Do you enjoy cooking yourself? VP: My favorite thing to cook with him was breakfast— popovers and pancakes. But my favorite dish that he made was his cheese soufflé, which he served with a green salad with a very garlicky dressing. As for me, I’m a lazy cook and a picky eater. Nothing like my dad! Q: What would your father think about the success and relaunch of the 50th Anniversary Edition and what made you decide to relaunch the book? I hope you realize how happy you have made many, many folks who have been longing for a copy. VP: I think that my father would have been pleased, but my mother would have been even more pleased. It’s really because she was so mindful of overseeing the unity of the book—its appearance, its theme, its art direction—that its beauty has lasted. Someone once said that it carries the weight and importance of a family Bible, and I think that my mother would have been pleased that it has remained so timeless and relevant and loved. Q: Victoria, is the 50th Anniversary edition the exact replica of the original or is it updated in any way? VP: The book is an exact replica in so far as we could do it—for example, to get a bronze leatherette was out of the budget. And we have upgraded the quality of the photos. I wrote a piece that gives the history of the book and tries to capture what people have loved about it all these years. And we are very grateful that Wolfgang Puck has written a new preface, plus a number of very well-known chefs and people from the food world have contributed their comments as well. Q: The book features recipes collected by your parents as they traveled the world dining at the finest restaurants. Rumor has it that the couple flattered, then begged, famous chefs for these recipes and these recipes were recreated in their home for guests? Can you tell us a little bit more about these parties? VP: My father was an exemplary host and my mother, the visionary, saw to every detail. Just as she did with the frames on the Sears’ artwork, my mother, who had a walk-in kiln, would copper-luster an entire set of dishes just for a dinner party. My mother was wonderful at seating people next to the right person with whom they needed to connect. My father always brought such joy to every occasion. People felt special, cared for, connected, and like they had shared an incredible experience. Q: Why do you feel it is important to carry on your father’s legacy? VP: Keeping the Vincent Price Legacy alive is a labor of love for me. My father inspired me to travel the world and share his message of joy and his legacy of yes! The Vincent Price themed dinners are a part of this legacy. Dinners are set up throughout the United States and consist of dishes made from the recipes in the book, speaking about my parents and a multi-media presentation including photographs and occasionally a screening and book signing. I have been touring all fall doing dinners all around the country to promote the 50th-anniversary edition and now I’m heading to the UK, Ireland, and Canada. These dinners remind people of the essential message of the cookbook — that food is not the focus of our lives, but a conduit for connection. In this age of social media, where a Facebook Like passes for friendship, what is more, important than sharing a meal or an adventurous experience with friends, family — or in the case of these dinners, with total strangers who can become new friends! To the right, you will find a Dover ad block with a photo of the Cooking Price-Wise cover. If you click on that box, it will take you to the cookbook section of Dover’s site. If you place an order, you will receive 25% off your total using the promo code shown. Dover has other titles as well – browse while you are there. This is a great deal in time for holiday shopping. Each month there will be a new Dover ad with a new code – be sure to keep checking back. Dover is generously offering two copies of Cooking Price-Wise in our giveaway that is open worldwide! To enter, sign in to Rafflecopter below. One of the entries is to leave a comment on this blog post after checking out the Dover and letting me know which cooking title looks good to you. A random winner will be chosen on November 12th. Good luck! 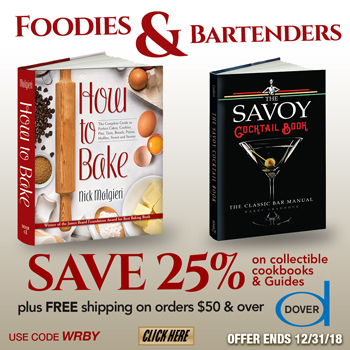 My friend, Jenni Field at Pastry Chef Online has a promotion for another one of Dover’s books, Alice Medrich’s Cocolat, head over there to enter.